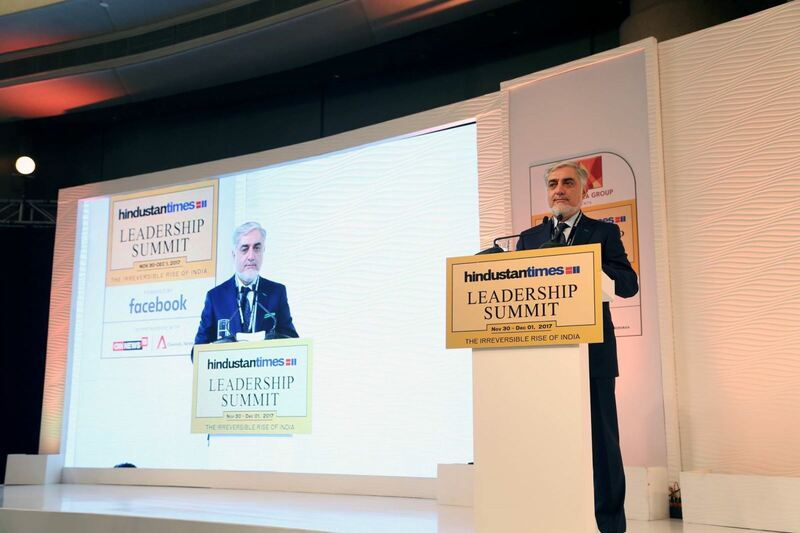 I am delighted to be in new Delhi to attend the prestigious Hindustan Times Leadership Summit, and to be among such distinguished company. My heartfelt thanks to the organizers for giving me the floor, and to all of you for being here. I am impressed by the lineup of luminaries, thinkers, doers and leaders you have on your 15th summit roster. The opportunity for a frank and sincere exchange is a reflection of the historic ties, deep linkages and warm friendship that our two nations have today, and have enjoyed throughout millenia. The foundation for our bilateral relations is not accidental, nor is it a temporary phenomenon. Regardless of evolving politics or shifting interests by governments. Ours is deeply rooted in people-to-people ties that existed throughout the ages as part of kingdoms come and dynasties gone, regime changes, colonial history and global makeovers. We have and, to this day, continue to set an example in terms of a shared vision, common interests and mutual respect for each other’s’ sovereignty and independence. Add to that our firm belief in a democratic order that reflects the will of our people in a pluralistic society, under rule of law, with respect for human rights and dignity. Both countries have inspired each other at different times, especially during difficult times. As you know well, Afghanistan appreciates the hand of friendship that India has extended at various intervals, especially when our people were vulnerable because of extenuating circumstances or when under assault. Today is one such moment as Afghanistan strives to overcome years of geo-political abuse, terrorist attacks and attempts by dark forces and designs that threaten our national fabric and identity, as well as our aspirations. In reality, these dark forces and misguided policies do not just threaten us, they threaten all societies, nation-states, our cultural heritage and humanity as a whole. Paradoxically, those who nurture and enable terrorism and the extremist networks that feed it, do so for short-sighted and misplaced intentions. They also engage in such activities at their own peril. This is why such strategies are a failure, and have brought nothing but misery and hardship to all sides, including the perpetrators themselves. In this context, the last 15 years in particular, are a testament to Indian generosity and support as part of a global effort to fight terrorism, help rebuild Afghanistan, and integrate our region to global markets and new ideas by unleashing new opportunities and offering our youth hope for the future. We are particularly thankful to India’s soft power generosity which ranges from infrastructure building, to opening trade routes and providing quality education to our youth. This is why India is a rising world power and not just an emerging regional economy. As part of our bilateral strategic agreement, we share a vision of peace and prosperity that is region-wide and in accordance to our global commitments. We attach great importance to resolving outstanding issues that can cause or escalate regional tensions. We owe that to current and future generations. Meanwhile, we also have the resolve to fight for what is right, to protect our societies and way of life. We continue to be at the forefront of the fight against tyranny and terror. Whatever the label or brand, we have decided to protect our people against Talibanism and outfits that function under the same overarching umbrella and share an identical worldview. We are heartened by the latest pledges made by the international community that aim to break the current security stalemate, help us stand on our own feet, take responsibility for our own defence, and adopt a more effective approach to fighting terrorism in our region. During my recent visit to the United States, I met administration officials and leaders on both sides of the aisle. I expressed our gratitude for continued U.S. and Nato engagement, and new strategic clarity that takes south and central Asian security and stability into account. We also welcomed the conditions-based approach that enhances our defensive capacities and targets the root causes of regional vulnerabilities. Later, during a visit to the United Nations, I informed the UN leadership of our intent to push for a just, comprehensive and durable peace process when conditions warrant it and all stakeholders see political dialogue as a viable option to end hostilities. Our message to other regional stakeholders has also been clear: any type of hedging that differentiates between “good and bad terrorist” or fails to look at the linkages that exist between terrorist and extremist outfits, or ignores state-sponsored violence and proxy warfare, can have catastrophic consequences. We urge all nations affected by terrorism to boost their efforts through intelligence sharing and coordination. heightened cooperation and dialogue can overcome misunderstandings, misperceptions, mistrust and spoiler tactics. Our efforts are forward looking, progressive and intended to foster peace, growth and prosperity. This vision takes into account the god given right of individuals, a democratic and constitutional order, basic rights and freedoms, a functioning economy that unleashes human ingenuity and creativity, and a promise to uplift people from poverty, inequality and despair. It’s a journey, and we are with you on this journey. We have challenges and pitfalls along the way, but we are confident that we shall overcome them through resolve, team-work and a shared moral high-ground.